I know picking the right college is no easy task, but let me add just one more thing to consider. As I try to decide where I want to spend the next four years of life, I’m forced to consider every little detail of each school. And trust me, I know there’s a lot. But one piece that can be easily forgotten is the overall appearance of the college. I mean, you want your campus to look pretty when you’re rushing to class don’t you? Ohio has well over 100 institutions to choose from, but here are eleven of the most beautiful it has to offer! The university opened as Buchtel College in 1872 and it was only one building. That building still stands on campus as “Old Buchtel” but is now accompanied by pristine, modern buildings like the College of Polymer Science building with it’s 12-story reflective glass. Akron is full of beautiful new architecture featuring a wide variety of interesting shaped buildings and lots of modern looking glass and window installations. 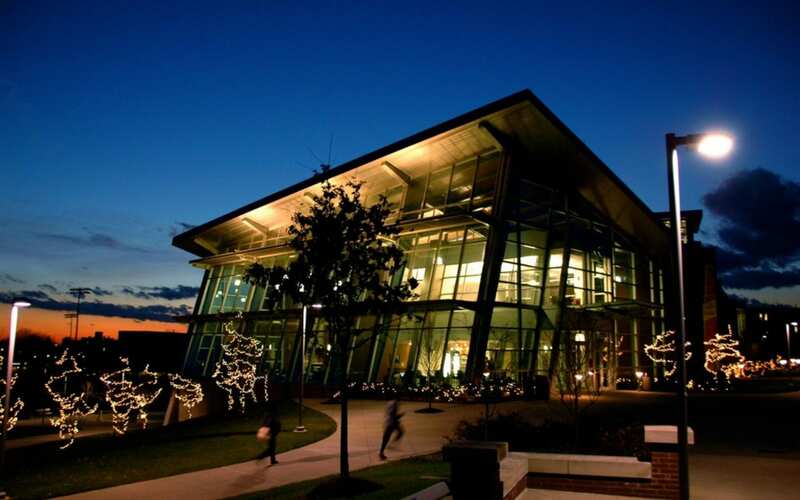 The Student Union building has beautiful floor to ceiling windows and is architecturally unique with it’s angular structure. With the red brick and tree lined paths strolling through this campus on a nice day was quite serene and peaceful. Combined with the modern architecture, this small town university is a beautiful balance of new and old. One of their most notable architectural features, built in 1931, is the Perkins Observatory which is home to the third-largest telescope in the world. 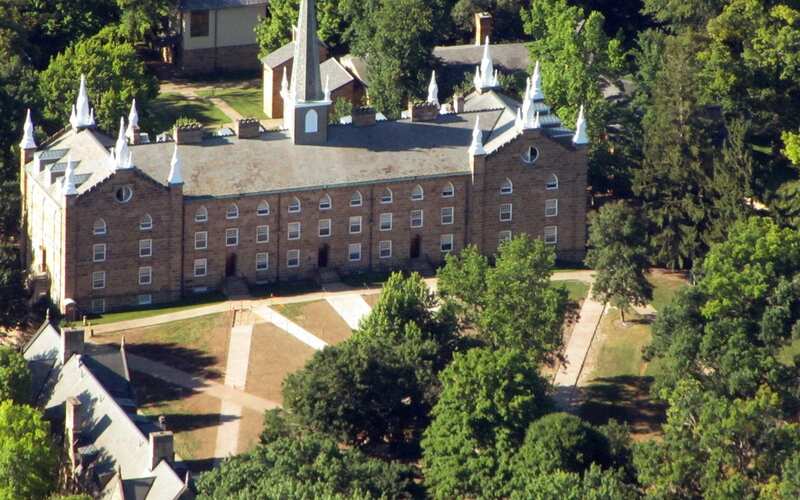 Being close to downtown Delaware also gives students access to even more than what the campus can offer. Ohio Wesleyan also runs the Strand Theatre and two local nature preserves. This campus is perfect for a student that wants the traditional campus feel. 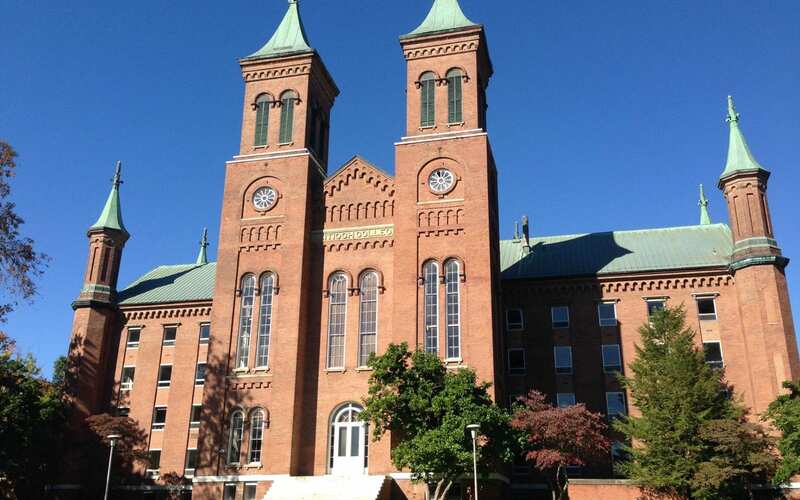 The beauty of John Carroll lies in the symmetrical, Collegiate Gothic style of all the buildings. Everything meshes together perfectly to create a old home-town vibe. One of the larger buildings on campus is the Administration Building and it’s modeled after an English royal Palace-the Hampton Court. 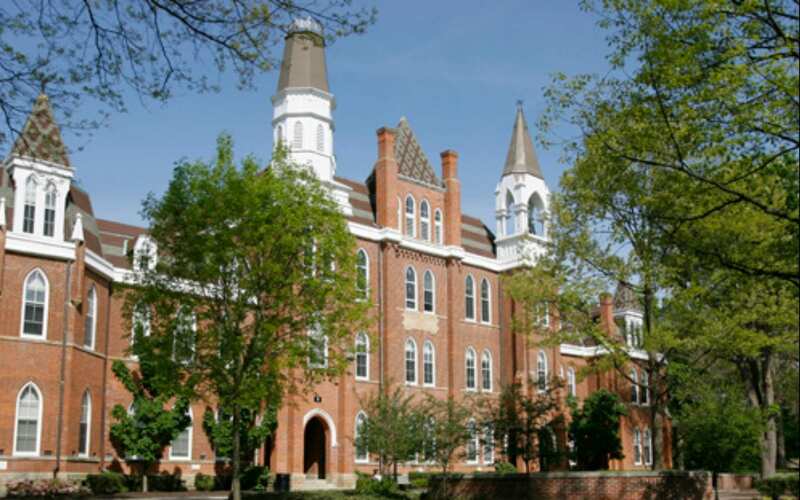 The Otterbein campus has a beautiful mix of new and old, urban and rural and everything in between. 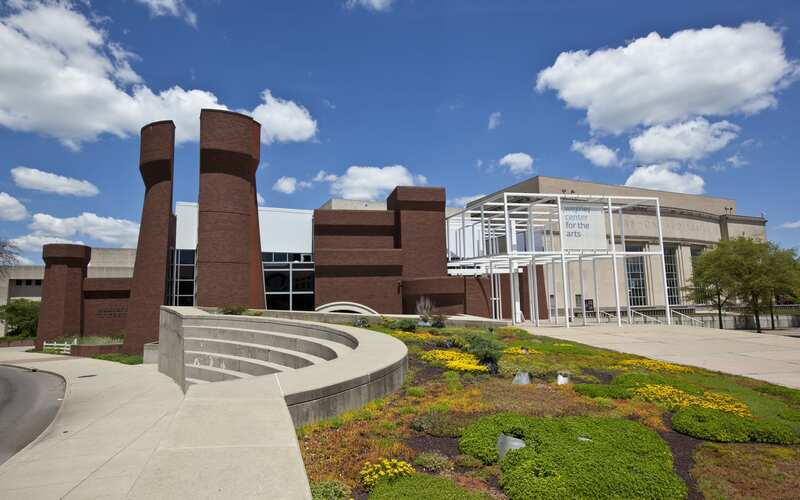 Located in the highly residential area of Westerville, Ohio it’s easy to make this campus your suburban home. Alum Creek runs along the West side of campus giving students a great place to go relax or study while listening to the quiet water. Built in 1871, the oldest building on campus is Towers Hall, a national landmark and home to many different academic fields. The Rike Recreation Center is one of the most impressive structures on campus. Spanning over 72,000 square feet, the massive indoor athletic facility holds copious amounts of events both sport and not. Let freedom ring. Happy #FourthOfJuly, #Otterbein! As one of the largest university’s in the country this school has around 60,000 students and takes up nearly 2,000 acres of Columbus, Ohio. 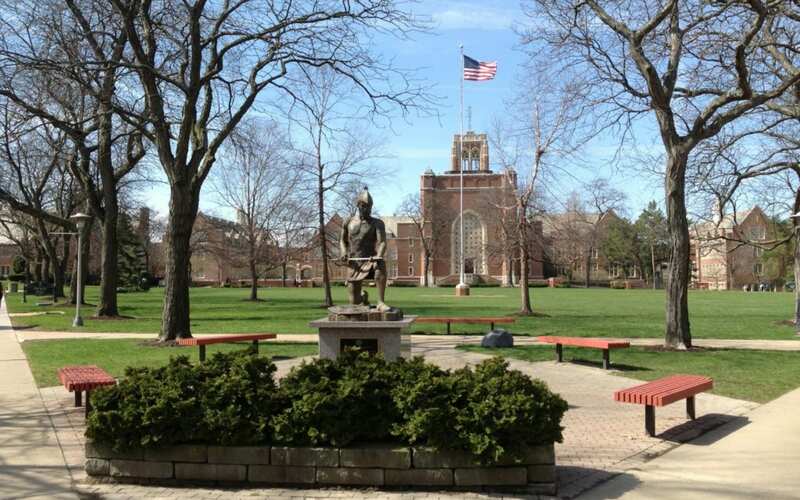 Located close to downtown Columbus the campus is in a great location for a multitude of opportunities. But this school doesn’t lack the traditional campus vibe. 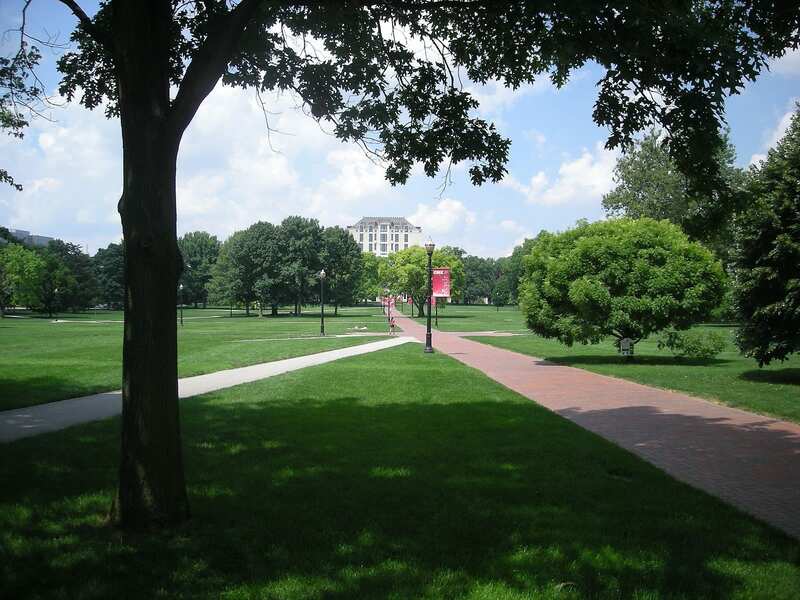 The Oval, is Ohio State’s central quad and is a beautiful green space for students to gather. 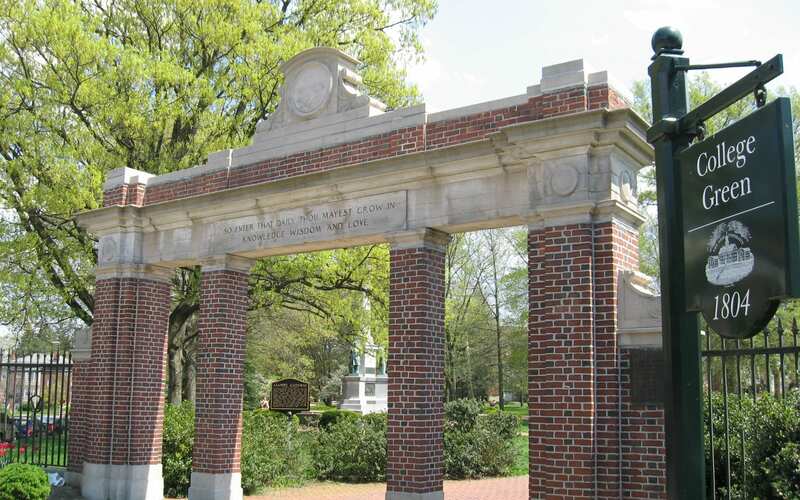 The Oval is also the location of a few buildings from the National Register of Historic Places. 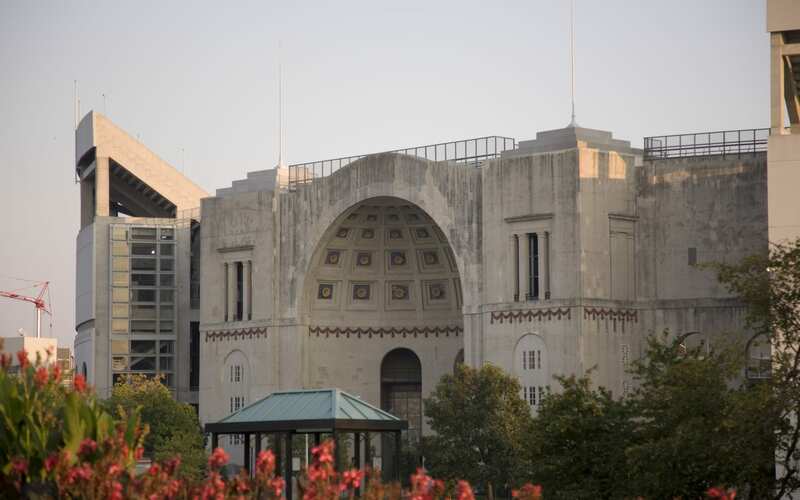 Of course, we can’t leave out the legendary Ohio Stadium, home of the Buckeyes football team. Keep sending us those springtime shots! Post your favorite pics & vids from #BuckeyeNation using #MyOhioState. PL @shivani.c.patel wants #new2osu students to check out Orton Hall on the Oval. In addition to its beautiful architecture, there is so much to explore inside the building! Antioch sits in the adorable small town of Yellow Springs, Ohio. The scenery and architecture all fits in the rural yet progressive vibe this college has. They have a fully sustainable farm on campus that stocks the dining hall. They also maintain the 1,000 acre Glen Helen Nature Preserve. Euro Saarinen, a well-known modern architect, designed both the Birch Hall dormitory and the Olive Kittering Library. The Olive Kittering Library was named after the wife of a late Antioch Trustee and is home to one of the oldest on-going literary magazines, The Antioch Review. Oberlin College has some of the best architecture around. Buildings such as Peters Hall will make you feel like you’re walking among castles. The Japanese-inspired pond designed by the original World Trade Towers architect is also a sight to see at any time of the year. 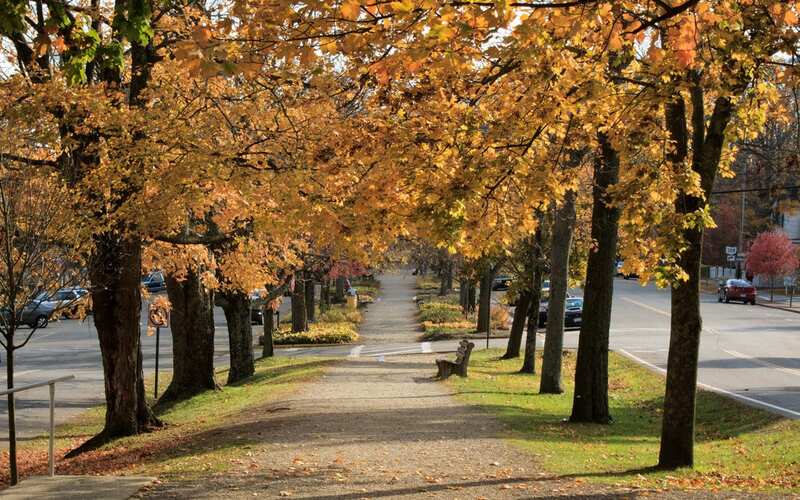 Surrounding the college is Tappan Square, one of the most frequently populated greens on campus that hosts a multitude of community events throughout the year. 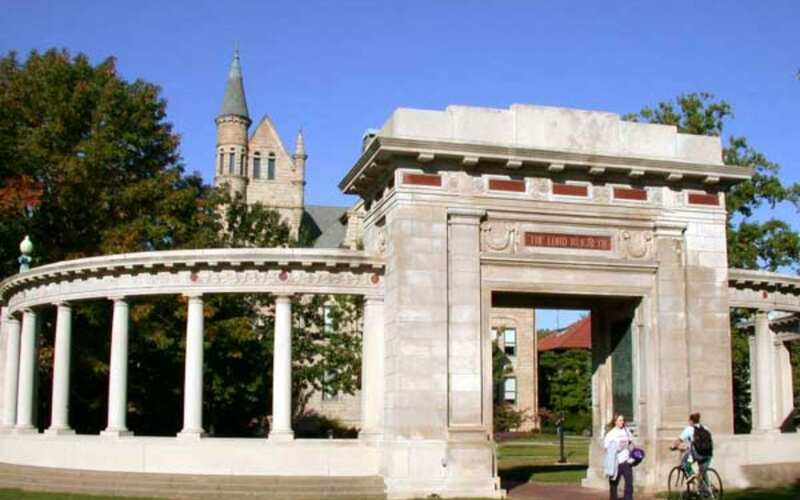 Oberlin is also home to one of the top college museums in the country, The Allen Memorial Art Museum. This University is a gorgeous combination of community campus and urban city living. 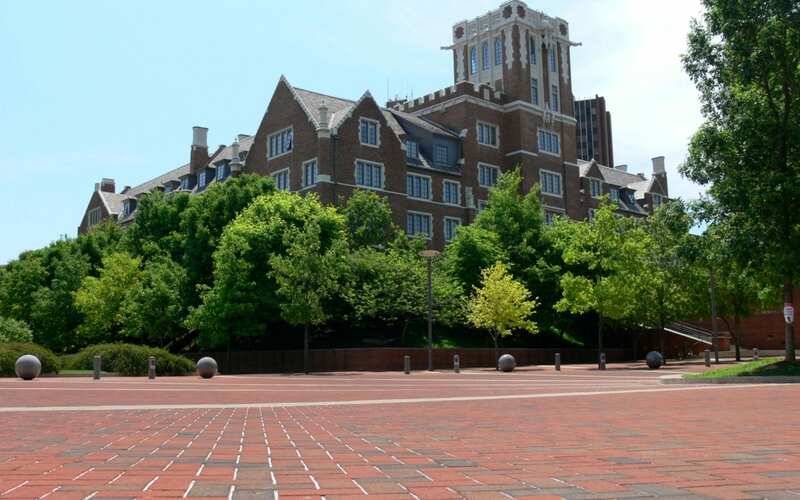 Situated in downtown Cincinnati, you can get the feel of living in a busy city while still getting the close knit campus vibe as you walk the paths through both the modern and historically styled buildings. 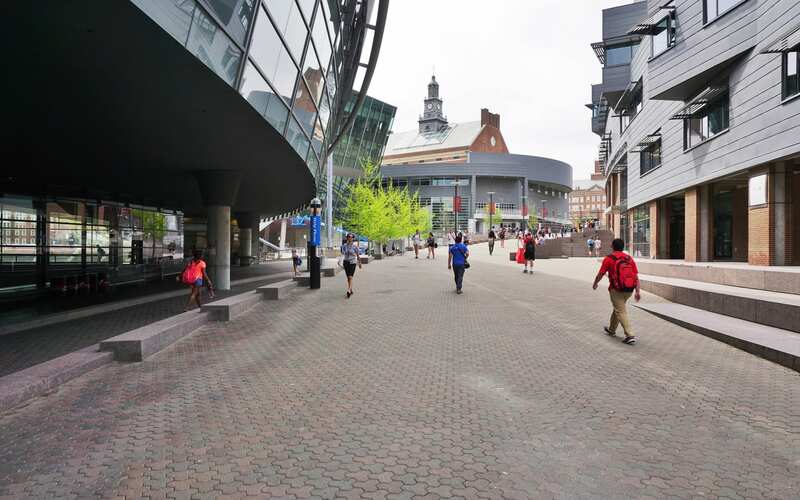 The university started out as Cincinnati College and the Medical College of Ohio in 1819 but has since become the University of Cincinnati that we know today. One of their most notable buildings is the Vontz Center for Molecular Studies, an angular brick building designed by Frank Gehry. #PrettyPicMonday: All the way up (@bspitz). 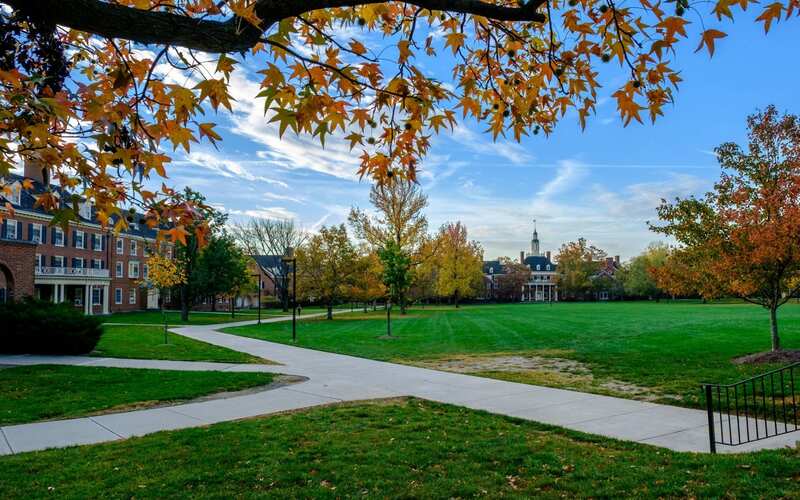 In the total college town of Miami Ohio, this university’s full trees and traditional style buildings make the campus easy to call a home. Some of their buildings are even on the National Register of Historic Places. Built in 1856 in a Greek Revival style, the Langstroth cottage is one of the cutest buildings on campus. Miami is also home to the oldest functional dormitories in the state, Elliott Hall and Stoddard Hall. 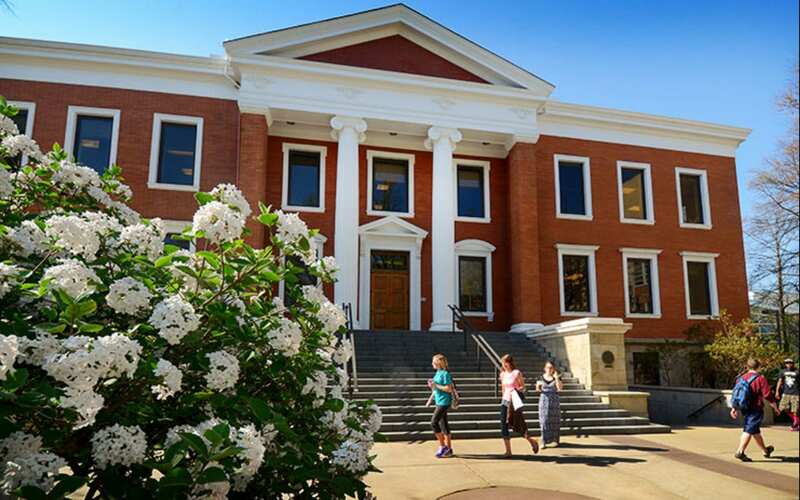 The beauty of this campus comes from the revival styled architecture and large green spaces that join together in the person campus town setting. The Hocking River on Ohio University’s campus really adds to the overall community, home-town vibe here. As well as being scenic and beautiful there’s also a long bike trail running right along side the river. Walking the path along the river just enjoying the fresh air really made me feel at home. College Green is the central quad and it’s surrounded by multiple notable campus buildings including the historically recognized Manasseh Cutler Hall. The many green spaces partnered with all the hills in this 1,800 acre campus really make this a beautiful place to be. A typically beautiful #KenyonCollege evening from an atypical vantage point — on top of Peirce Tower! 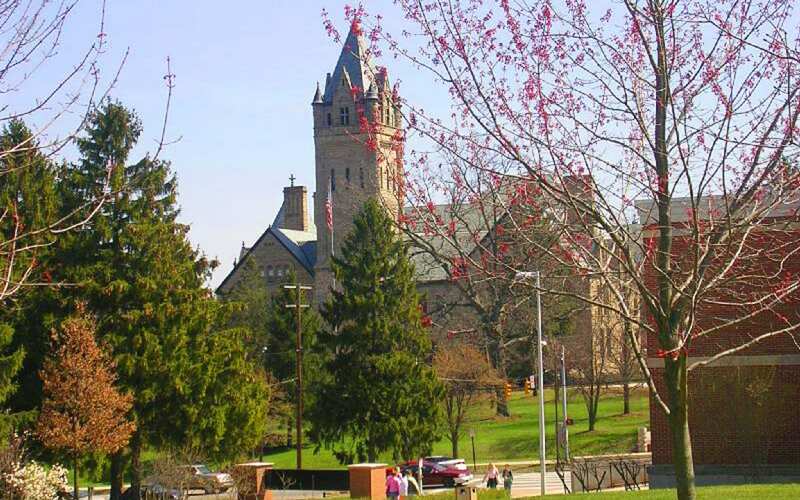 Arguably one of the most beautiful campuses in the nation, Kenyon College sits in the small town of Gambier, Ohio. Founded in 1824 this college has plenty of beautiful old architecture like Bexley Hall. The wide sidewalk stretched through the entire campus is known as Middle Path and is not only a beautiful way to get to class but a great place for students to hang out. The overall cohesiveness of the campus gives it a real sense of community. With the main stretch of Gambier near by the campus feels just like a home away from home. 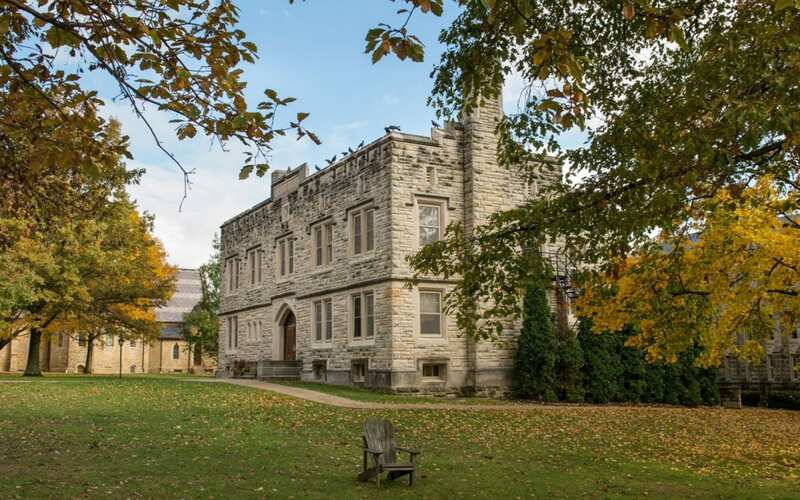 Whether you stroll through Middle Path under the full blooming trees or walk up to the gloriously rebuild Old Kenyon residence hall, there is something to see in every corner of this campus. Convinced you have to go to one of these schools? Here’s what you’ll need to get in! Do you have a favorite campus in Ohio? Tell us about it on Facebook or Twitter!